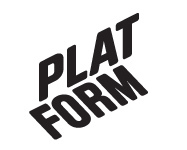 July 2009 – Platform r.f. Artist talk with Mattias Olofsson, based in Umeå (SE) and Jimmy Kuehnle based in St. Louis (US). Mattias Olofsson is the residency artist at Platform during July-August 2009. Jimmy Kuehnle is the residency artist at Ateljé Stundars during June-July 2009. Ateljé Stundars is part of the international Artist in Residence programme hosted by KulturÖsterbotten. “The simultaneous proximity and distance of people in urban centers motivates the core of my art practice. Members of society are disconnected from one another despite almost daily contact in a monotonous cycle of daily tasks. I seek to challenge the public in order to break it out of its repetitive cycle. Humans are very adept at assimilating the world around them to the point that unusual experiences quickly become commonplace. Many wonders and sublime experiences are overlooked.